Velllcome, friendos, to That Nature Show’s Halloween edition. Bwhahahahaha. Today we’re going to be glad that after Friday we can take our banana and calavera costumes off, go back to being our selves — suburban mothers of two, poetry slammers, hipsters, lacrosse dads, wearers of designer boots, purchasers of pour-overs, because the world’s weirdest animals never can. For as long as it lives the warthog will be a warthog. It doesn’t get to play around. The aye-aye (above) will always be a aye-aye. It can never get out of its wacky vampire-bat-ish clown suit. See how surprised-Gremlin it looks? Like, I’m stuck in this pop-up Halloween store cheap made-in-China costume? Are you serious? What the %^&? Interestingly, aye-ayes are primates, and so related to us, and the only place they live is on the island of Madagascar. All I can say about that is, thank G-d, all we have in Baltimore is rats. 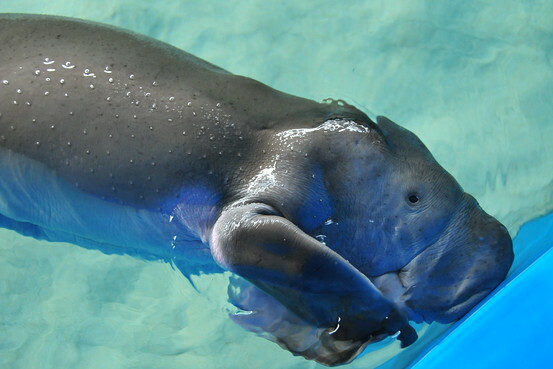 Likewise the dugong (below): it’ll always be looking like The Manatee That Was Assembled By Hippopotamuses. 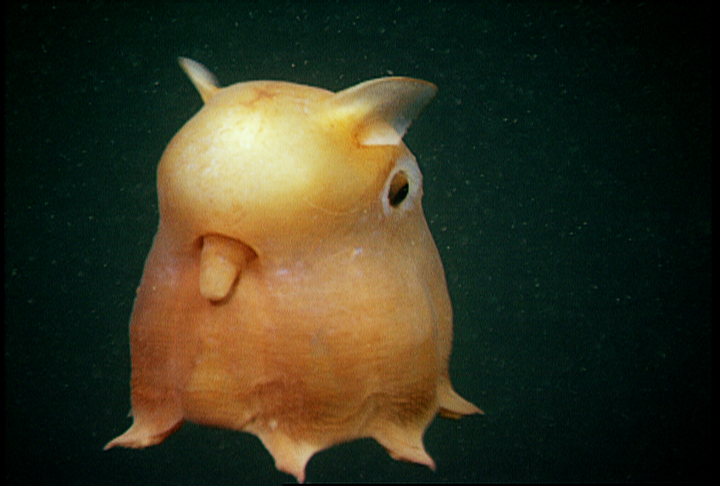 Still, I think it’s kind of cute, in none-too-bright, poor-quality-control, Dumbo Octopus sort of way. Look how adorable, someone made a knit version of it. There’s also a knit version of an aye-aye. Those knitters are a on top of things. Baby dugong, we love you. 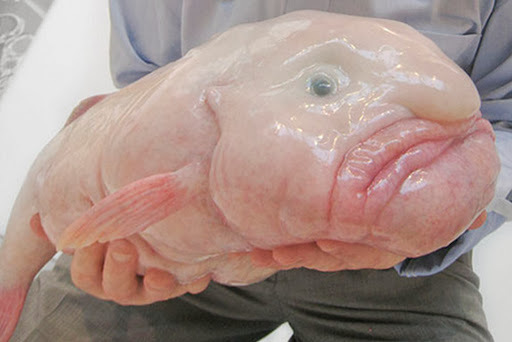 Then there’s this Mothers-Don’t-Let-Your-Children-Grow-Up-To-Be-Blobfish specimen of deep-sea why bother. My kids say I resemble the blobfish in the pre-latte hours before dawn when it is a twilight world full of shadows and I have my hair up in a towel. Maybe I should take some lip-lining tips from this guy, actually. Or is is a girl? It’s like Pat from old SNL. According to Wikipedia, “In September 2013 the blobfish was voted the ‘World’s Ugliest Animal,’ based on photographs of decompressed specimens, and adopted as the mascot of the Ugly Animal Preservation Society, in an initiative dedicated to raising the profile of some of Mother Nature’s more aesthetically challenged children.” For being fugly, it sure is popular. It rivals the Hulk-smash Mantis Shrimp. But my favorite weird animals are the scientists who dress up as animals as a lifestyle. The ones who do so in order to learn more about the creatures, who with us call this pale blue dot home.